Woolf & Nachimson, LLP’s Real Estate lawyers represent general contractors, subcontractors, architects, and soil engineers in a wide variety of complex construction defect litigation and delay damages claims. Woolf & Nachimson, LLP’s Real Estate lawyers also bring and defend against mechanics lien, collection, and breach of contract of matters arising out of construction disputes. Woolf & Nachimson, LLP’s Real Estate lawyers represent real estate professionals such as architects, engineers, real estate brokers and salespersons in matters involving allegations of negligence, fraud, and breach of contract matters. They also counsel architects in contract formation and negotiation. 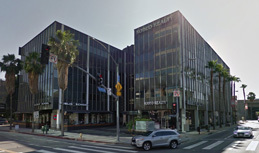 Woolf & Nachimson, LLP’s Real Estate lawyers also represent owners, investors, partners, and developers in complex real estate litigation, quiet title actions, and fraud litigation throughout California, including commercial development, multi-family development and vacant land. Woolf & Nachimson, LLP’s Real Estate lawyers draft and negotiate real estate option purchase agreements, purchase/sale agreements, and related agreements for investors and owners in the real estate industry. They also regularly counsel commercial landlords and commercial tenants in lease negotiations and commercial lease litigation.